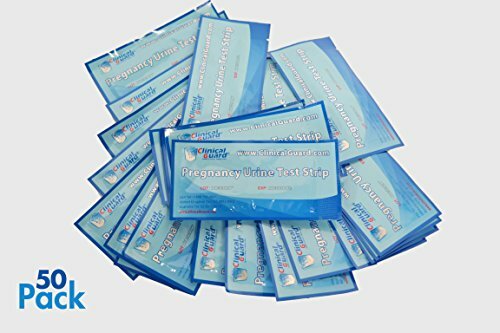 The ClinicalGuard HCG Urine Test is a fast and accurate pregnancy test that is designed for ease of use. It works by detecting the presence of human chorionic gonadotropin ("hCG") in urine. If your result is positive, please contact your physician. He or she will be able to confirm your pregnancy. If your results are negative and you have reasons to believe that you are pregnant (e.g. delayed menstruation), you should repeat the test after a few days. In either case, contact your physician to obtain further information and advice regarding your pregnancy. Note: The color intensity of the test bands on the test may vary depending on the concentration of hCG hormone detected. If you have any questions about this product by ClinicalGuard, contact us by completing and submitting the form below. If you are looking for a specif part number, please include it with your message.